What do Hugh Jackman, Cynthia Erivo, and Irving Berlin all have in common? All three of these artists were born outside the United States. Yep. They are each part of a rich history of international artists who have made the melting pot that is the New York theatre scene one of the tastiest stews out there. And that’s what we’re here to talk about today. Five international artists who may not be Tony winners (yet!) but are no less vital to the artistic health of our community. For those of you who have read my past work, you’ll know this is not my usual beat. Today, I’m venturing outside the world of audition tips and tricks (although there will be a few of those along the way), and into a much more sensitive and complex space. Because the New York theatre community at times has a very odd relationship with our international artists. We can all agree that the inclusion of international perspectives and talents makes for better art. Everyone triumphantly joins in on “Immigrants, we get the job done” should the Hamilton cast album happen to start playing at a party. But most of us are not aware of the daily struggles and catch-22s faced by international artists as they navigate life, art, and the ever-daunting visa process in the US. What is it like to be an international artist in NYC? Let’s ask an international artist! Maya Avisar is an incredible example of a performer who isn’t afraid to embrace the identity of an international artist. Originally from Israel, she is currently performing and producing in New York City. Maya: I'm not American. At some point I decided to lean into it and empower it, and that's when I decided to found the Alliance of Alien Artists. The organization's mission is to empower and support international artists in their careers in the United States. I'd like to think all international artists should empower themselves as internationals and not hide among the Americans hoping to go unnoticed. You will never be anyone else, so why waste your time trying when you can be your true self? And how did Maya discover her true self? Like so many, much of her artistic journey was shaped by the tenacity required to get over here in the first place. Maya: I've wanted to come study in NYC since I started doing musical theatre. It took me a few years to actually get to it, mostly because it's very expensive. For years I couldn't even think of HOW to get the money, or that it would even be possible for me to study here. After I finished my military service I went back to think what I want to do, and after studying musical theatre in Israel for a year, I realized I have to come to New York. From that moment on it was do or die—I put the goal in front of me and didn't stop until I graduated. Money or no money, I walked that stage. 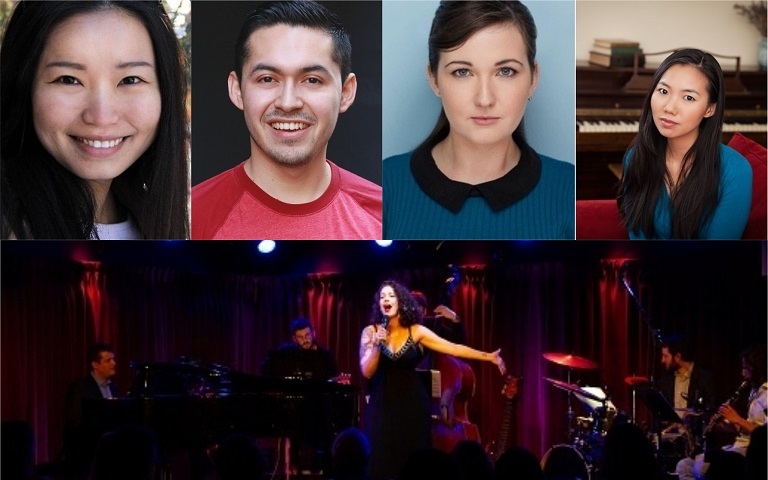 Maya: It's a very special concert I conceived and created with Israeli composer Assaf Gleizner (The Office musical parody, Friends musical parody) and is featuring international artists singing show tunes in their first language. 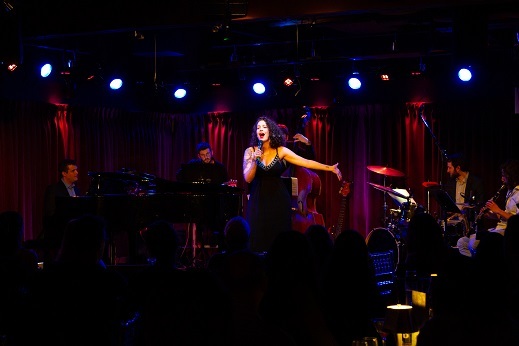 We had one very successful performance at The Green Room 42, and on May 28th we're performing at Feinstein's/54 Below. I'm leading this concert and I feel we have created something truly special. Our audience is combined with internationals and Americans, and everyone leaves the performance in an awe, saying it has inspired them and really made them emotional. Jenni Wales is a Scottish-born actress, singer, and dancer who has performed extensively both on stage and screen in the UK and USA. Jenni: The UK audition panels require your headshot to be in black and white, whereas the US prefer them to be in colour. I’m not entirely sure why this is, or which one I prefer but it’s the little things like that, that make auditioning very classic and old school or new and refreshing. Jenni: The Edinburgh Fringe Festival brings artists from all over the world to Scotland and to experience theatre like never before. I was lucky to be a part of it when I was cast as the lead in Faeries, a musical based on a true story by Arthur Conan Doyle about two young girls who had found and photographed faeries in their garden. It was one of the most rewarding and biggest experiences of my life and acting career. Jenni’s experience at the Edinburgh Fringe prepared her for much of the scrappy theatre and film festival work she’s done in the States. But it’s not the only way in which her history in the UK has informed her work. In fact, a deep sense of family history is a recurring theme of Jenni’s theatrical work. Jenni: I have to say my most proud performance was when I got to honour my grandfather in the production of Factory Girls by Frank McGuinness. The play is set in Ireland and based on a true story which focuses on a group of factory workers who decide to stand their ground and strike by locking themselves inside the factory. My grandfather was a union representative at the time and so was involved for standing up for the women in these true life events. A newspaper article of my grandfather making a speech at the time was used as the poster to advertise the play in New York. I am very proud that I was able to honour him and is work in my performance thousands of miles away from home. Keurim Hur is a writer of musicals, straight plays, screenplays, short stories, novels, various improbable pilots, and tweets for other people. ● MFA from the Graduate Musical Theatre Writing Program at New York University. I have to give you all this context because, in typical wordsmith fashion, I was unable to coax a part of the interview out of Keurim where she would talk about her own writing accomplishments. Because Keurim is ever witty and self-effacing, I was unable to get a solid pull quote. So...sorry, Keurim. Above is a list of your accolades. One thing Keurim does speak very openly about is a source of inspiration for her work. Keurim: I find a lot of inspiration in things that make me angry, because those are the things I have a lot to say about. A lot of things about being a woman, being Korean, being queer, being a non-citizen in this country, being an artist trying to both pay rent and eat sometimes. You know that part in Inside Out where Joy is introducing Anger and says he cares a lot about things being fair? That spoke to me. The things I write tend to either be about all the ways I think the world is failing, or all the ways I think the world could be better. I write a lot of characters caught between worlds and identities - immigrants, superheroes, werewolves, performers. I think most of all, I write the things I not only wanted to see, but wanted to be in. One of the reasons I gave up trying to be a performer - besides the vocal injury and the debilitating anxiety - is that I was tired of playing children and prostitutes, and that's all you really get as an Asian woman in musical theatre. There's a lot of talk about colorblind casting, which isn't a real thing, and color-conscious casting, which can be an amazing thing, but there needs to be more of an emphasis on developing writers of color, hiring creatives of color, nurturing producers of color. I don't think we should have to settle for being excited for the next time someone has the radical idea of putting one whole black lead in a Rodgers and Hammerstein musical. Keurim: I think my favorite things I've done recently, which I really should do again, are actually concerts I produced - one is super creatively entitled Artists of Extraordinary Ability, which was just me emailing every international writer in my year at NYU and asking if they wanted to do a cabaret, and expanded to include other writers from other cycles because there are always some great ones every year. My hope is that it'll expand to include not only outside writers, but international performers as well. The other is of musical theatre duets for women characters that aren't about men. It's one of those things where, after I've said it out loud, everyone stops to think and goes, oh my God, you're totally right! Either there aren't two women in the musical at all, or they only exist to fight over the male lead. There are the few detractors that always feel the need to name the same three songs as if it's proof that this isn't an overall problem, but I sort of feel like the fact that they're all only naming the same three songs is actually proof of the opposite? Manuel Cortes Alcazar is a Mexican actor who resides in NYC. His work expands from Off-Broadway to regionally as well as web series and film. Manuel’s eyes were opened to the joys of musical theatre at age 16 when visiting family in Texas. His cousin played him the Wicked cast album for the first time. He heard “Popular” and was hooked. Manuel: It was Grease and I played Eugene. It was such a fun role, and it was a great introduction to musical theatre. Hearing the story of how Manuel fell in love with musical made me smile. We had many of the same entry points into the theatre world, and his story filled me with nostalgia and familiarity. Of course, our experiences diverged greatly in the “coming to New York” chapter of our lives. When you’re not a citizen of the US, this chapter becomes incredibly stressful and complicated. Manuel: It is REALLY hard. On top of the usual difficulties and frustrations that we all go through, we also have to worry about lawyers, getting material for our portfolio for our next visa, getting work letters for projects that happen 2–3 years from now, and also living with the anxiety that if your next visa doesn't get approved you'll have to pick up all your stuff and move back home until the situation gets resolved, and when it gets approved you know that in 2–3 years you'll have to do the same thing all over again. Also, there's the fact that we cannot really work on AEA projects until you get a green card and if you work in TV/Film some studios have vetos on O-1 (visa) talent. Despite these very real challenges, Manuel has managed to work on a variety of projects he’s incredibly proud of. One project that was particularly meaningful to him was the play Love Like A Hun that he did right out of college. Manuel: It tackled a lot of subjects about immigration and domestic abuse. Also, I was the youngest in the cast and I had one of the principal roles and carried a lot of the show and I had to keep up to the level of much more experienced actors so it was a great challenge. I feel it is even more relevant now than when I did it so I would totally love to do it again now that I'm a bit older. Xiachen: I grew up in a engineer family—my parents, grandparents are all engineers and I went to college for engineering as well. Not until my senior year I got to see a Broadway musical that was touring to Shanghai that I fell in love with live theatre. Came to United States for theatrical design and all changed from there. Although Xiachen’s path was radically altered after seeing that production in Shanghai, her childhood in China remains an inspiration in her work. Xiachen: I’ve been more and more drawn into topics related to women’s human rights and gender equality. Growing up in China, a certain expectation was given to almost all women, including me, that we are meant to get married at a certain age and be a good mom, take care of the household. Women who had passed a certain age, if she’s still single, would be considered “leftover’ and become worthless. Young single professionals would get rejected from companies because of their looks. All the stories I’ve heard and seen from my friends and on social media make me feel related. Because Xiachen is so passionate about these issues, one particular highlight of her design career has been The Seedling Project, a 2016 production Xiachen did in collaboration with Partly Cloudy People. I asked her to tell me a little about it. Xiachen: It’s an original play inspired by the true stories of women and men as they navigate the choices surrounding unplanned pregnancy, and part of the proceeds was donated to the historic Margaret Sanger Center of Planned Parenthood. The magical ability of theatre to foster empathy and tell the powerful stories about the very nature of the human condition?!?!? (Okay… yes, all those things popped up a lot. But also, like, read the header…). The process of applying for an artist’s visa is one of the most daunting challenges an international artist faces. A few of my interviewees were kind enough to tell me about their experience navigating that process. International artists currently going through this process who could use some pointers from the other side. First off, a quick primer. What exactly is an O-1 visa? Xiachen: I got my O-1 visa (so-called artist visa) in 2016. It’s a non-resident US visa for people who demonstrate extraordinary ability in the field. It required a lot of work to prove that you deserve this visa. How exactly does one prove they are an artist of “extraordinary ability”? Manuel and Xiachen both took me step by step through what the process was like for them. Manuel: Each case is a little bit different, but it is for the most part pretty similar. You have to get a US sponsor and they are going to act as your agent for visa purposes. This is one of the most difficult things to get because it is a little invasive for the person. They have to give you a lot of personal information for the application, and most people I talk to say that it takes them a lot of time finding someone willing to do it. Thank goodness I've been really lucky in this department because I've always had people willing to sponsor me. Manuel: The next thing you need is letters from theatre companies, directors, or agents saying that they want to work with you, which projects they want to do with you, how much they are going to pay you, dates, etc; from the start of your visa and up to 3 years, this is also really challenging as most people in this business don't know what next year is going to be like and what projects are going to be happening, so it's hard for them to put it in writing. Manuel: Then there's the press section. This is a little fun as you get to brag about yourself. You have to include every playbill, every review, every picture, every article, of every single project you have worked in, the more you have the better. Every time I do a show, I make it a point to get me a copy of the playbill and find everything I can about our show. Xiachen also weighed in on the importance of keep fastidious records of your work. Xiachen: If you decide to go along with O-1 visa (99.9% of the case if you are a theatre folk), start your preparation early and save as much as you can of your previous work—photos, a program that has your name, publicity about your work, awards (even if you only got nominated). Manuel: I also recommend getting a lawyer. It just takes a bit of the stress off and you know they are handling everything and they have the experience of how everything needs to be filed. And before I close out this aside, here’s one more actionable item for current citizens proposed by the lovely Keurim Hur. Keurim: If you say you're going to write a show with us, please write the show with us because this is literally what we're trying to use to prove to the country that we deserve to stay here. Again, everyone's applying for four grants a day and it's horrible and annoying and you have to record so many demos and write so many personal statements - but if you miss a deadline, you can just revise until the next one. We don't have the luxury of waiting around when our lives are on the line. Thank you all for going on that international journey with me! Before we part ways, I wanted to give the last word to my lovely panelists who were so generous with their time and stories. If you could give one piece of advice to an international artist planning on moving to the States, what would it be? Maya: Believe in yourself. It will take a lot of energy and mostly a lot of patience. You really want to find what you're good at, and create original work. Join the Alliance of Alien Artists (we help). Work as much as you can back home before coming here, because these credits count when you apply for your artist visa, and be prepared to work very very hard! Jenni: Use what makes you unique and different in order to stand out, accents, looks and special talents. Being different gives you a slight edge, but it does not mean that you don’t have to work harder. Being an international comes with challenges in terms of visas and such. You have to work harder to prove that you deserve to be where you are. Keurim: Don't wait for anyone to give you permission. Try. Contact that theater and ask about doing a concert and either they'll say yes and you'll get that opportunity, or they'll say no and you'll be exactly where you are. And only by asking will you find the people who'll say yes to you. 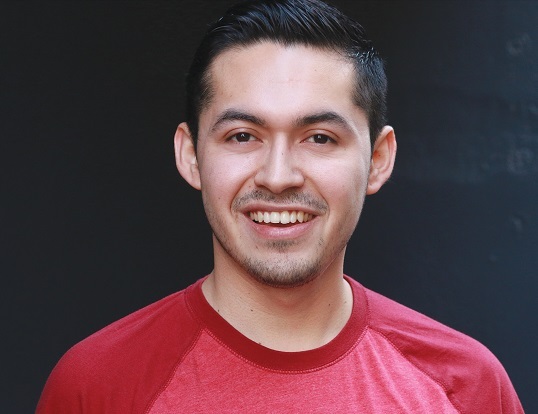 Manuel: Always keep your eyes on the prize and keep working towards your goal, take classes, watch shows, read about the business but also try to maintain a balanced life and enjoy the fact that you are in New York City. Xiachen: Dream big and dare to fail.